High in the Mid-'60s: How to Have a Fabulous Life in Music Without Being Famous! is all of the following...a memoir, a life journey, a rock n roll “everyman” story, a spiritual discovery, a fathering experience, an absolute music business survival manual, and an anecdotal treasure chest of life on the road. 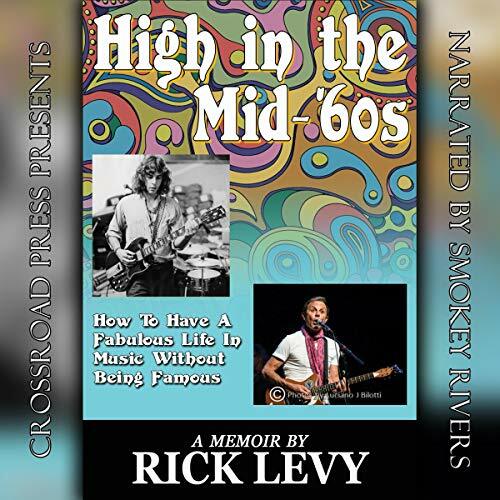 Divided into chronological “sections”, starting with childhood, and culminating in an ongoing epilogue, High in the Mid-'60s details Rick Levy's life including his time involved with various groups including Herman's Hermits, Jay & the Techniques, and The Box Tops. Rick Levy is an internationally known musician, manager, and tour manager. His career started in the early 1960’s in Allentown, Pa., with The Limits. He went on to receive a BA in Sociology from University of Pennsylvania, and an Elementary Education Certification from Moravian College. From 1985 until the present, he has been manager and/or bandleader for such notable pop rock artists as Herman’s Hermits, Tommy Roe, Freddy Cannon, Jay & the Techniques, The Tokens, Bo Diddley, and currently is manager/guitarist with Memphis legends The Box Tops. Rick is also a professional ceramic artist, potter with his own “Glazed and Confused” pottery studio in St. Augustine, Florida, where he resides. His son, Jonah, is sought after special effects makeup artist based in Atlanta, Georgia. He is co-owner of Blue Whale Studios.